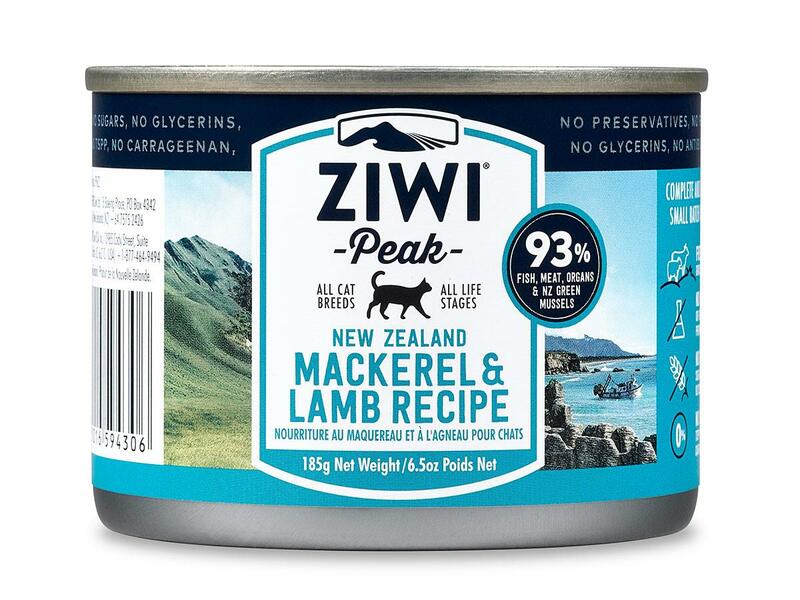 In 8 flavours: Lamb, Venison, Beef, Mackerel & Lamb, Rabbit & Lamb, Chicken, NEW Hoki and NEW Mackerel. 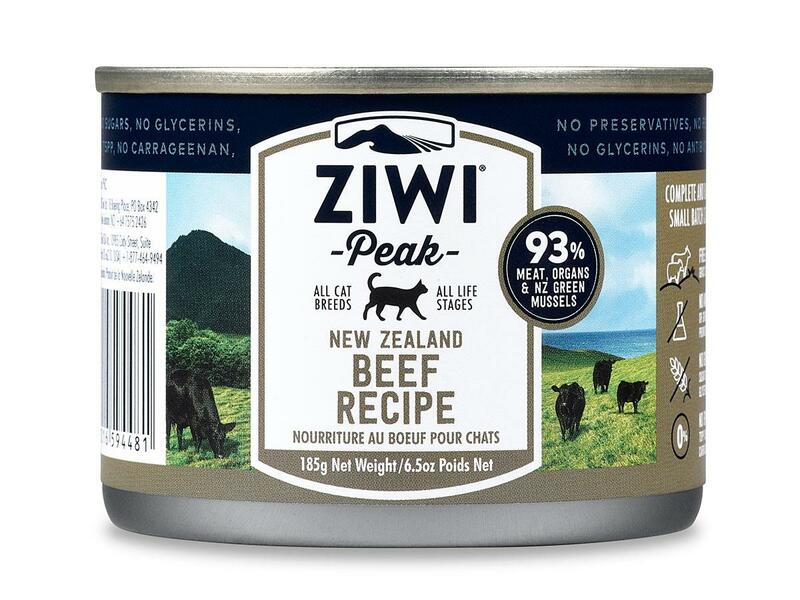 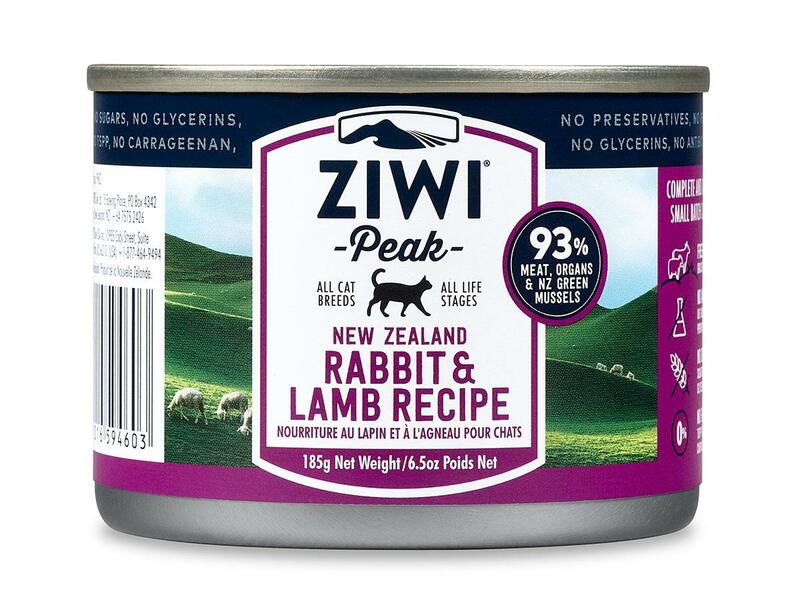 For owners who prefer to feed their pet a moist meat-based diet, ZiwiPeak is available in easy-to-open, safe cans with ultra-safe BPA-free lining, and new carrageenan-free gelling agent for total peace of mind. 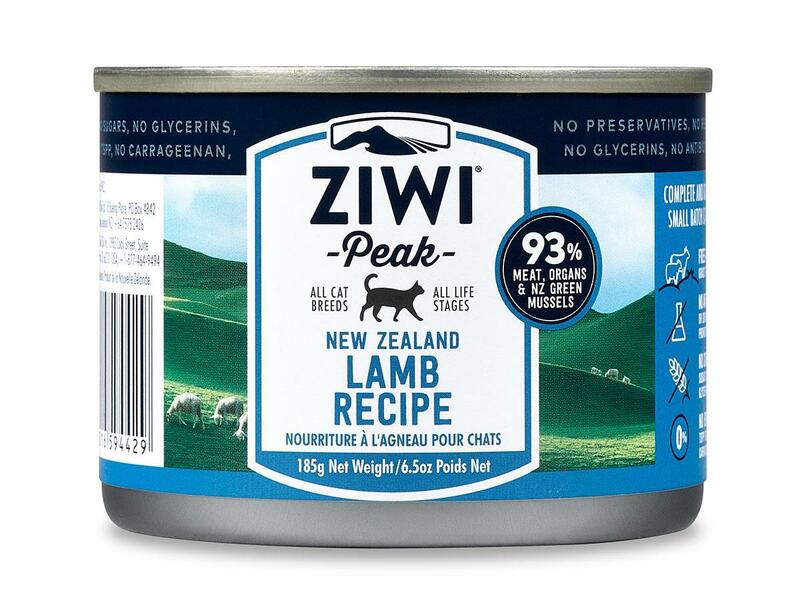 The canned ZiwiPeak Cuisine contains a minimum of 66% raw meat, with the balance being moisture and other essential vitamins and minerals like in the dry cuisine. 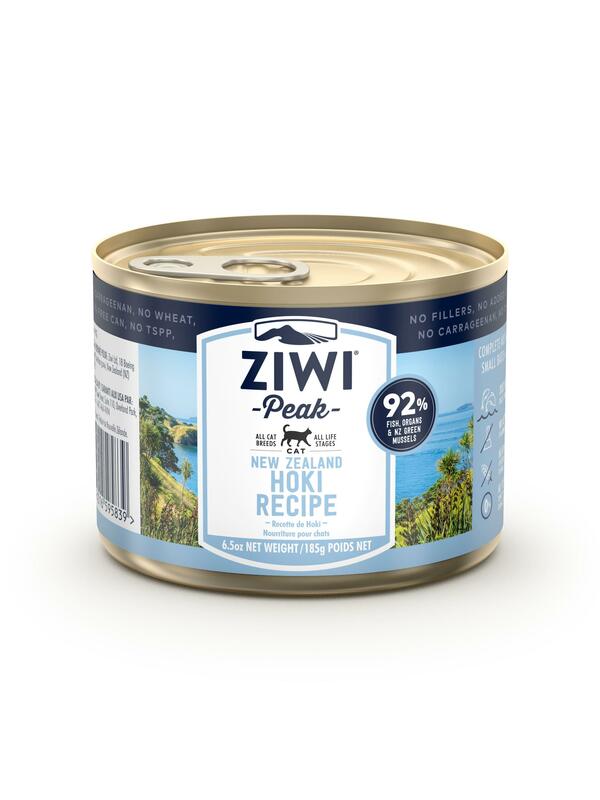 Top-rated by all independent pet food reviews and studies, ZiwiPeak cat cans have a 3 year shelf life when they leave the factory, and come in 2 sizes - 85-gram & 185-gram. 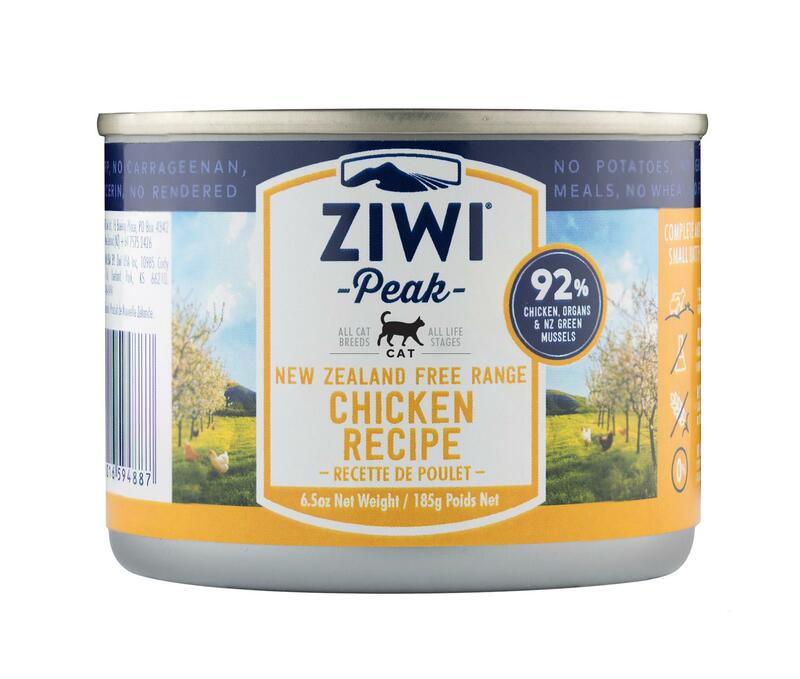 Ziwi Peak pet food is formulated on the same balance of meat ingredients that cats would find by hunting in the wild. 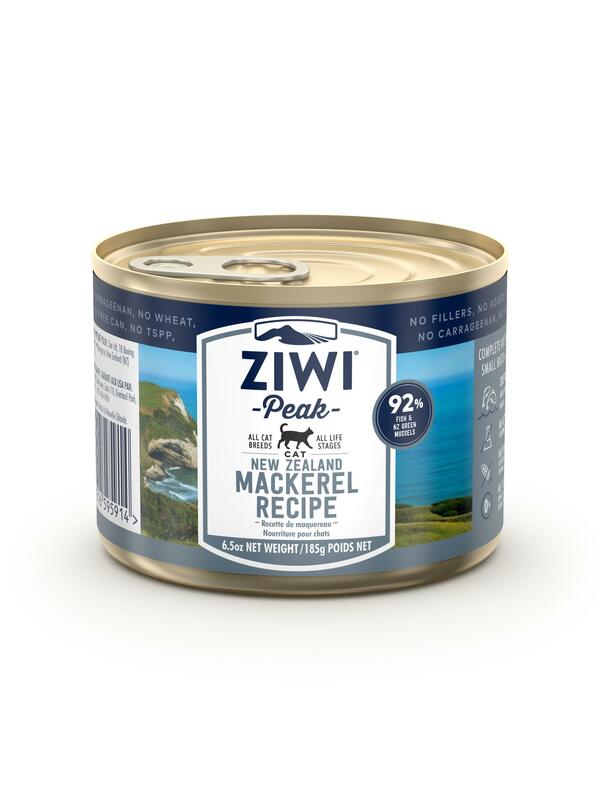 ZiwiPeak 'Cuisine' has the added advantage of New Zealand Mussel, which is a 100% natural source of Glucosamine, glycogens and Omega-3 fatty acids with proven ability to nutritionally assist long-term joint health. 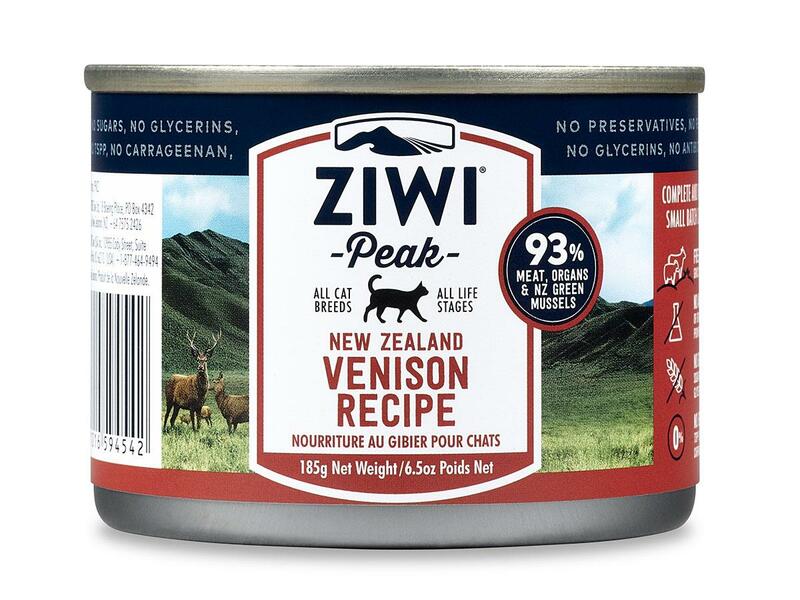 ZiwiPeak is one of the few products recommended that is available in Australia, and one of our customers reports that his 12-year old diabetic cat has thrived since being put onto the ZiwiPeak venison formula.